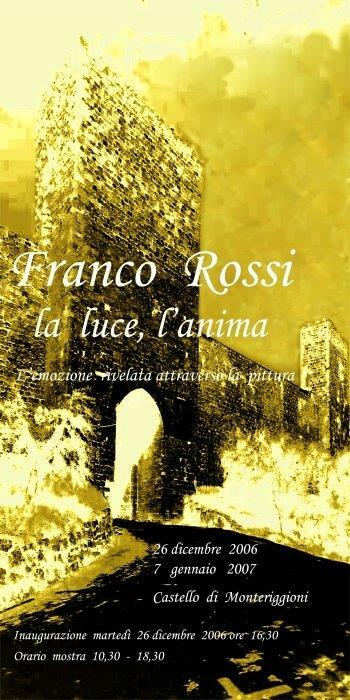 Franco Rossi, born in Florence July 24, 1947. Self-taught, he never attended any schools of painting. 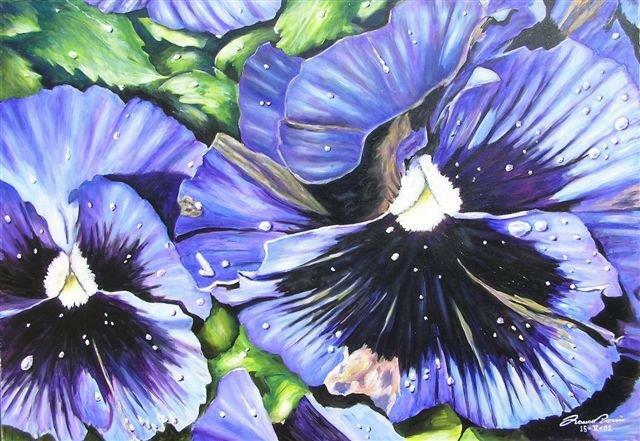 Left the drawing after middle school, he continued to cultivate the art of pure passion. 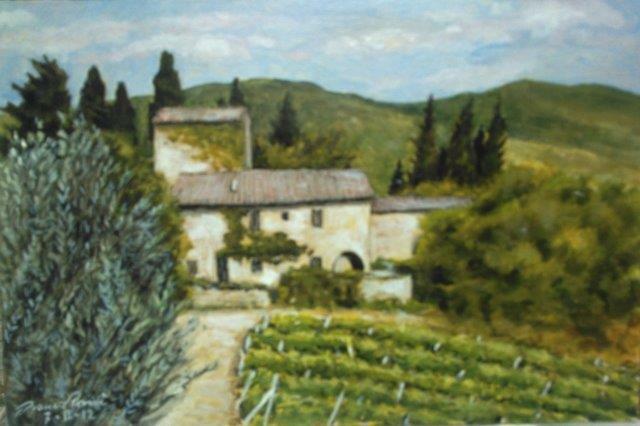 The beginning of his painting career dates back to 1963. 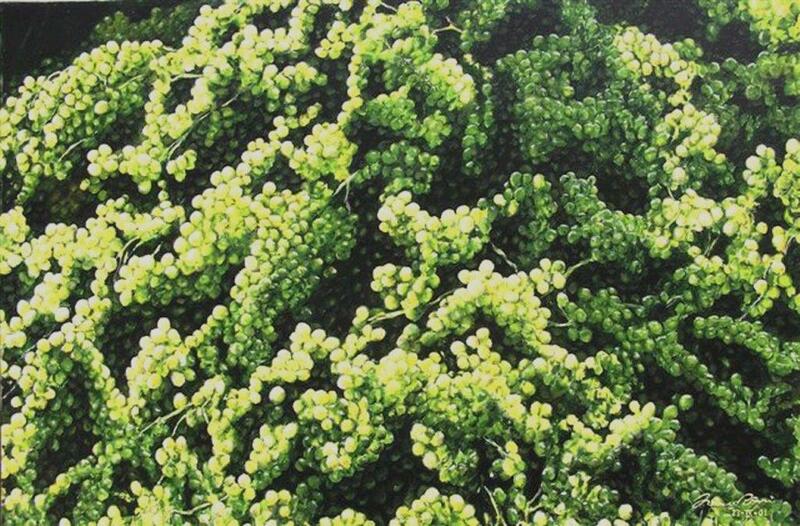 At first, the landscapes alternated to still life until, in 1973, the single-color type began characterizing his paintings. After an initial series of nudes and landscapes, the variety of images began to represent for the artist a way to externalize an emotion, a feeling not otherwise communicable. 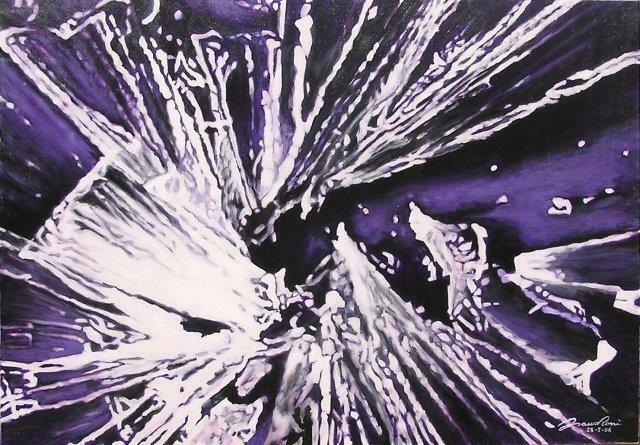 Therefore, we refer to the monochromatic period as the beginning of what its present painting is now able to achieve. 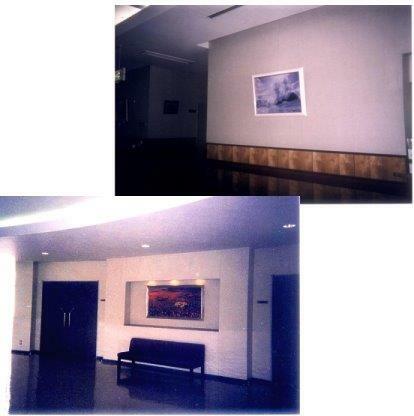 Since then, switched by the technique of oil painting to acrylic in the early ’80s, his steady progression in the research was almost always accompanied by a production of small landscapes and still life, paintings that were made between a composition and another large, the latter precisely descriptive of the deepest emotions. 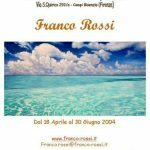 The painting of Franco Rossi can no longer be defined for years simply a painting as a hobby or passion. His painting is in fact determined solely by the need to portray an image metaphorically with a feeling, a mood, an emotion concealed in the depth and otherwise destined to remain there. 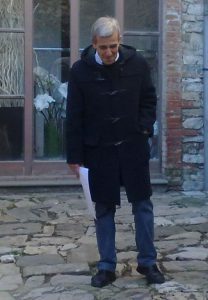 For this reason, and for a typically Florentine character, he has never been particularly interested in the world of exhibitions, awards, critics, counting to his credit (see list below) many exhibitions and various sponsorships of Municipalities and the Ministry of Cultural heritage. 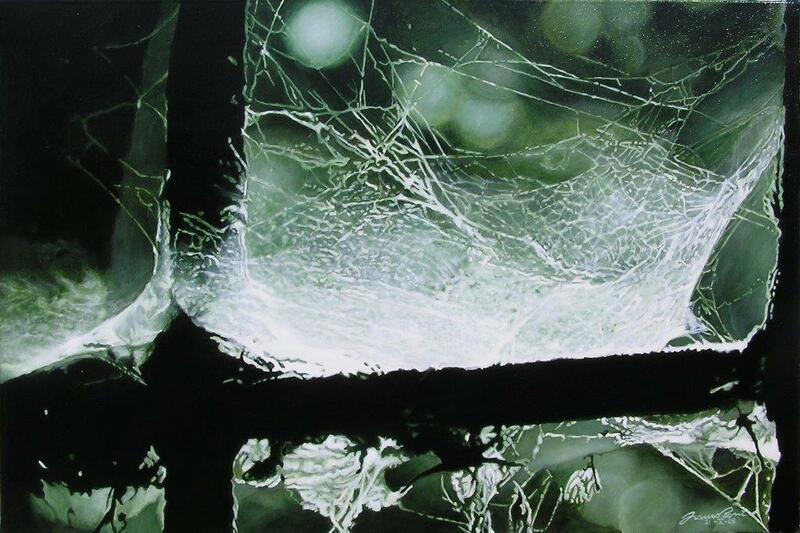 The most important thing for the artist is to be only able to express and communicate a message that is immediately understood, a message which, starting from the depths of his soul, has a unique destination on the depths of others. The approximately one thousand canvases painted in over half a century are scattered in collections throughout the world. How about him was written, “It’s hard to define the style, albeit realistic, given the peculiarities of technique and theme. The official criticism has failed to frame it in any of the known current. An innovator, then? “. Probably yes. 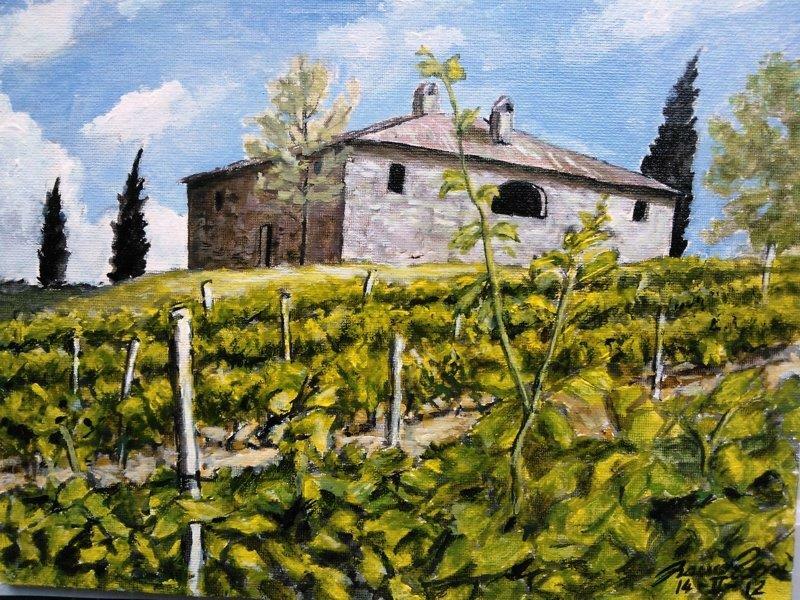 2004 – Personal exibition at Starhotel Vespucci (Campi Bisenzio – Florence) since April ,18th to August, 27th. 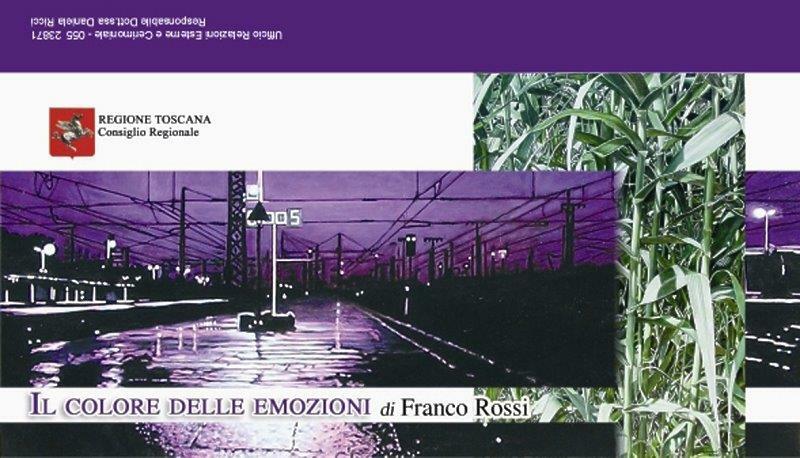 2007 – february: on sale in library “L’incanto”, book by Nadia Corsi, inspired by the emotions raised from the artist’s paints. 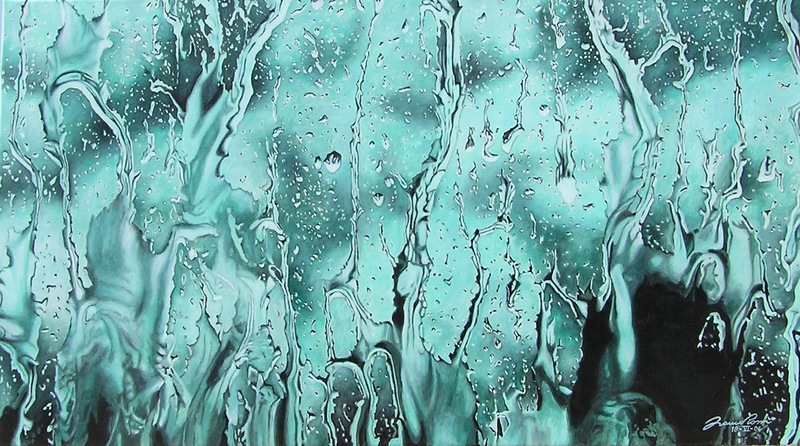 The cover reproduces a detail from ”Respiro” paint.”. 2007 – ARTE magazine, the most important in Italy, on own initiative draws attention to the website of the artist on the number of Jenuary. 2007 – February: “Passaparola”, official magazine of the Banca Toscana, dedicates a long article to the just concluded personal exibition in Monteriggioni (SI). 2007 – February: “Filodiretto”, official magazine of Group Monte dei Paschi di Siena, publishes a long interview to the artist, accompanied by photos and mention about the website. 2007 – March: “Filodiretto” magazine dedicates an article to the last paint of the artist. 2007 – March: Exibition in S.Ansano (SI). 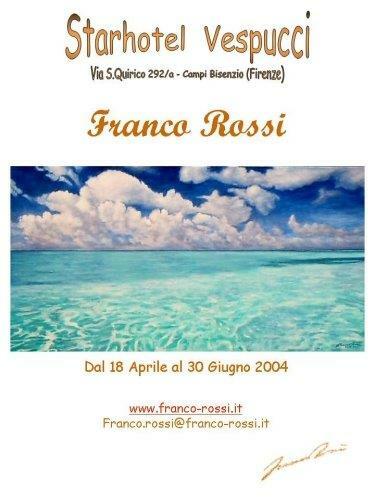 2007 – Personal exibition in Roma Trastevere ( Studio Logos Gallery ) since April, 28th to May, 10th. 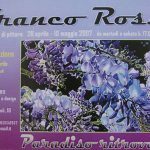 2007 – May: “Filodiretto” magazine dedicates an article to the two last paints of the artist and publishes the calendar of his next personal exibitions. 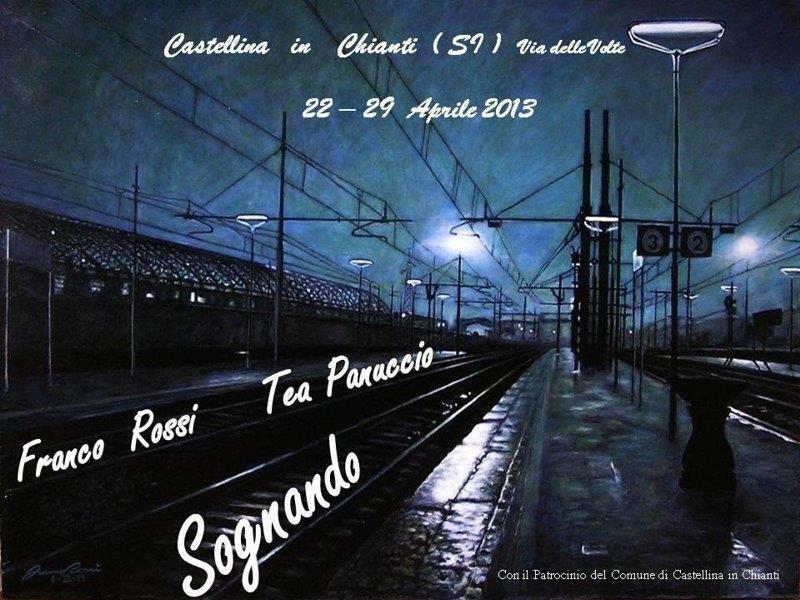 2007 – personal exibition in Castellina in Chianti (Siena) since 19th to 27th May. 2007 – August: “Filodiretto” magazine dedicates an article to the three last paints of the artist. 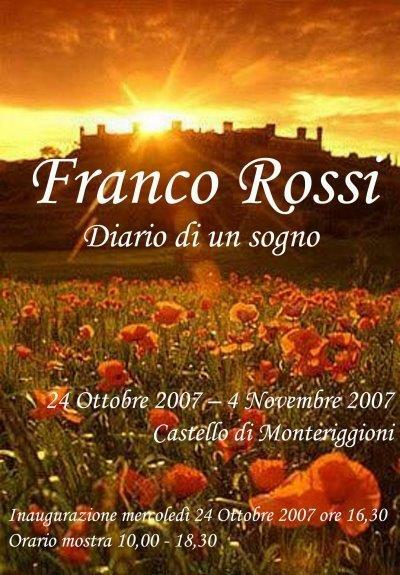 2007 – October: “Filodiretto” magazine dedicates an article to the two last paints of the artist. 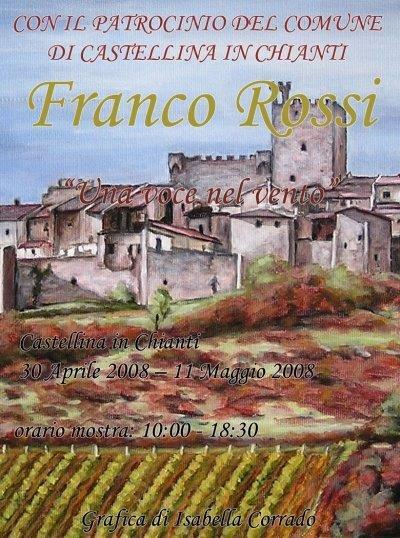 2007 – personal exibition in the Monteriggioni castle (SI) since 24th october to 4th november 2007. 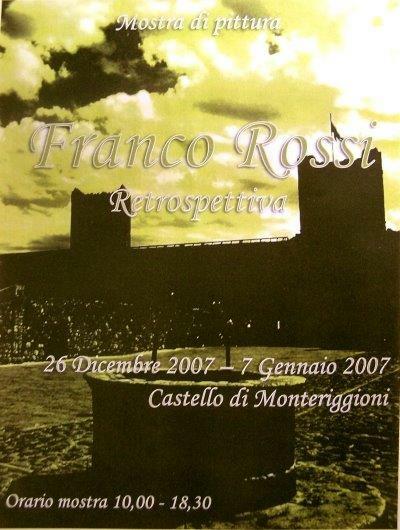 2007 – first personal retrospective exibition in the Monteriggioni castle (SI) since 26th December 2007 to 7th january 2008. 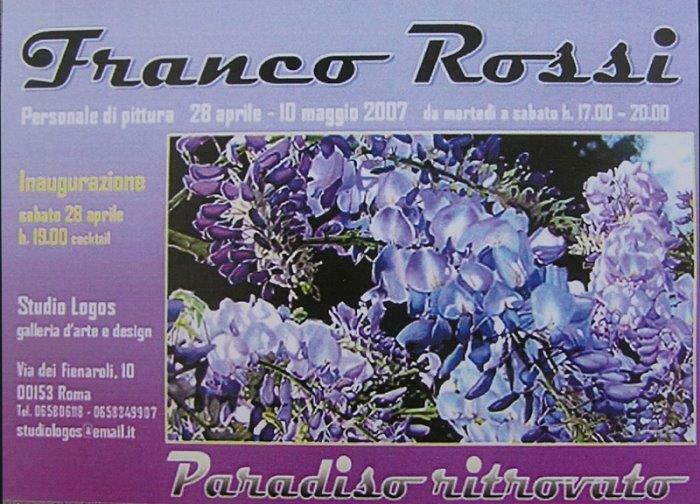 2008 – April: “Filodiretto” magazine dedicates an article to the last paints of the artist and publishes the calendar of his next personal exibitions. 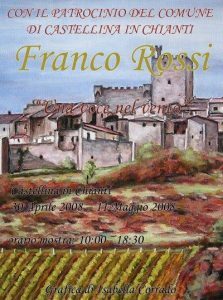 2008 – With the Support of theTown of Castellina in Chianti, personal exibition in Castellina in Chianti (Siena) since 30th April to 11th May. 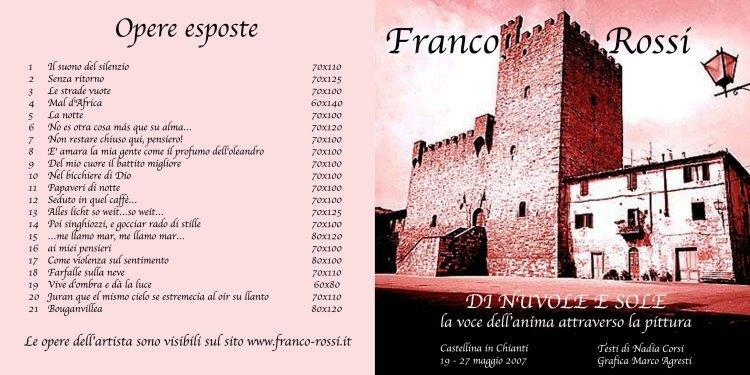 2008 – Col Patrocinio del Comune di Castellina in Chianti, mostra personale dal 30 Aprile – 11 Maggio. 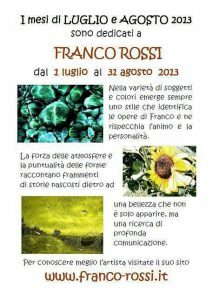 2008 – July: “Filodiretto” magazine dedicates an article to the two last paints of the artist. 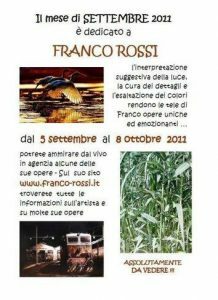 2008 – September: “Filodiretto” magazine dedicates an article to the two last paints of the artist. 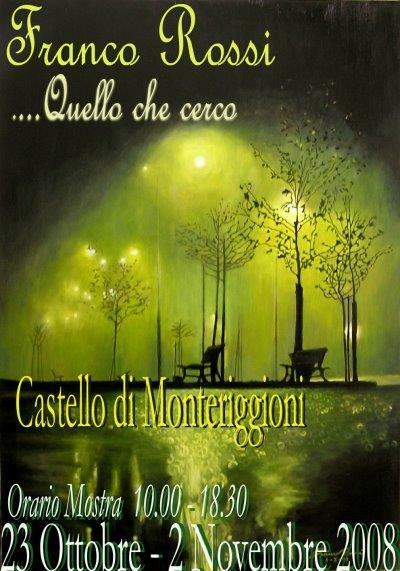 2008 – personal exibition in the Monteriggioni castle (SI) since 23rd october to 2nd november. 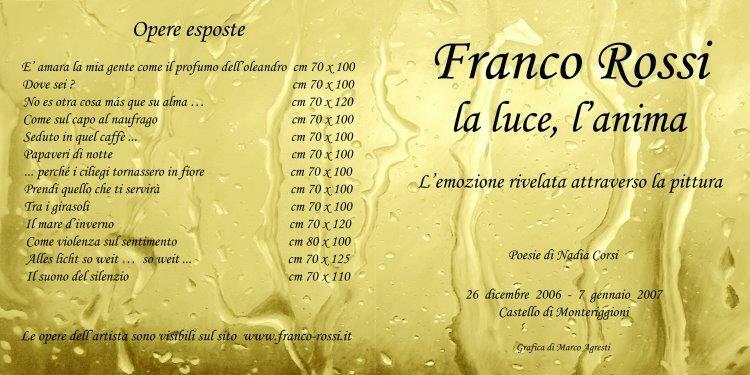 2009 – January: “Filodiretto” magazine dedicates an article to the four last paints of the artist. 2009 -March: With the Support of Beni e Attività Culturali Ministry personal exibition “Il colore delle emozioni” in Consiglio della Regione Toscana Seat in Florence – Panciatichi Palace – from March, 30th to April, 7th. 2009 – April: “Filodiretto” magazine dedicates an article to the personal exibition of the artist underway in Florence – Panciatichi Palace. 2009 – April: Television SKY Italian Channel 882 transmits the inauguration of the personal exibition in Florence -Panciatichi Palace. 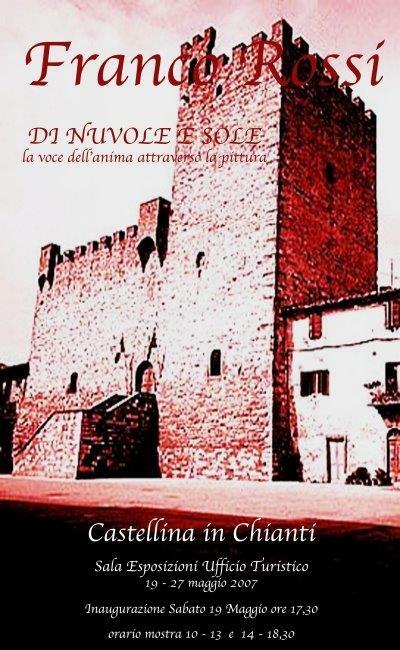 2009 – September: “Filodiretto” magazine dedicates an article to the next anthological exibition of the artist in the Monteriggioni castle (SI) and to his last works. 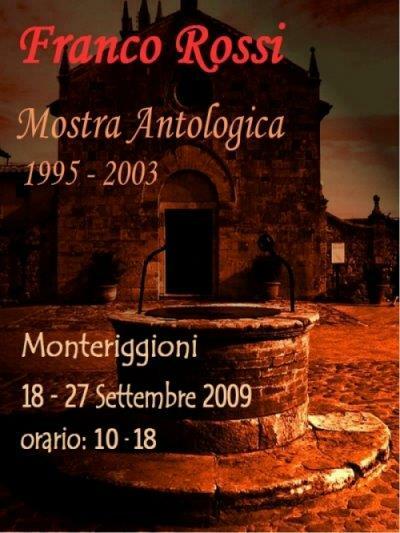 2009 – personal anthological exibition in the Monteriggioni castle (SI) since 18th to 27th September. 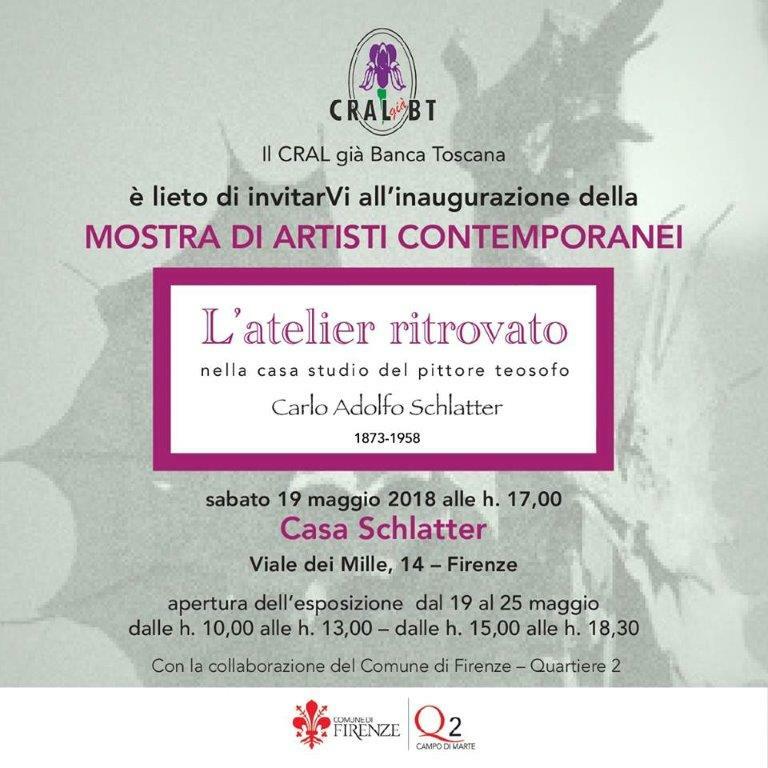 2011 – April: “Filodiretto” magazine dedicates an article to the next personal exibition of the artist in Castellina in Chianti (SI). 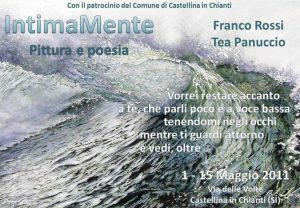 2011 – With the Support of theTown of Castellina in Chianti, personal exibition ” Intimamente” in Castellina in Chianti (Siena) since 1 May to 15 May. The paints of the artist amalgamated with the poems by Tea Panuccio. 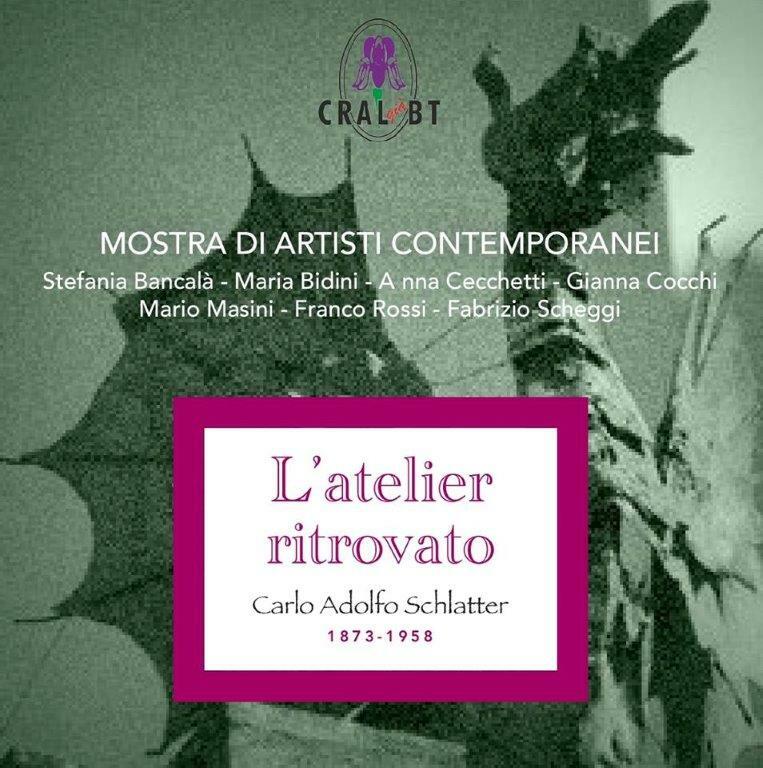 2011 – August: “Filodiretto” magazine dedicates an article to the next personal exibition of the artist in Castellina in Chianti (SI). 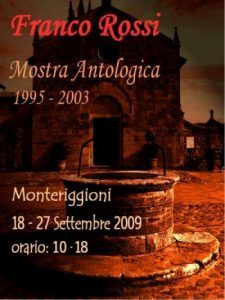 2011 – Agosto: La rivista “Filodiretto” dedica un articolo alla prossima mostra personale dell’artista a Castellina in Chianti (SI). 2011 – September – Exibition in Florence – Galleria Billeci Immobiliare – piazza Mascagni. 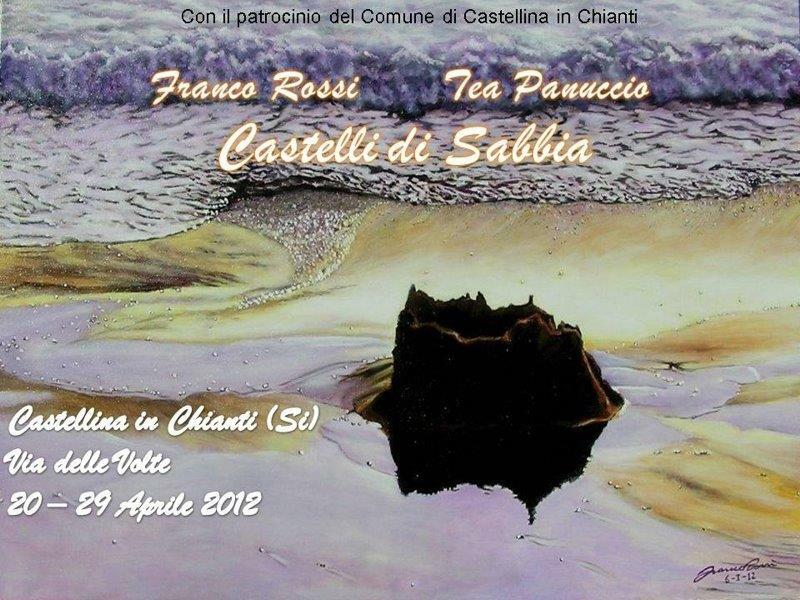 2012 – With the Support of theTown of Castellina in Chianti, personal exibition ” Castelli di sabbia” in Castellina in Chianti (Siena) since 20 to 29 April . 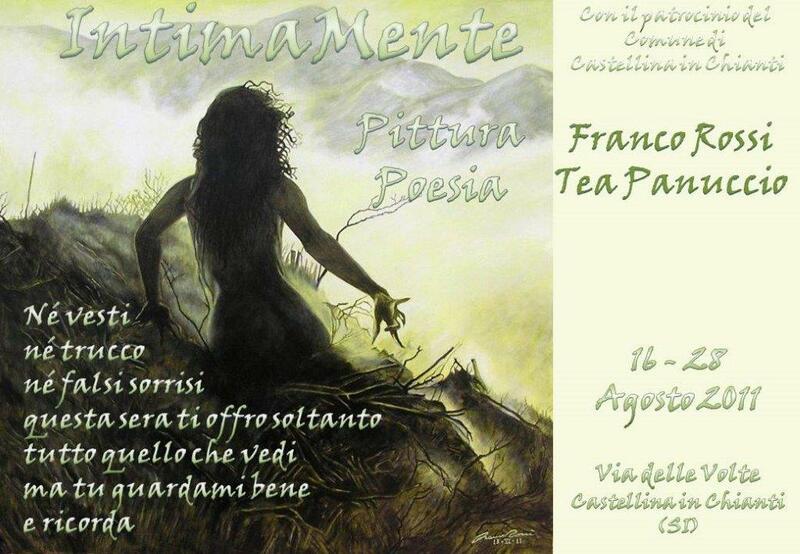 The paints of the artist amalgamated with the poems by Tea Panuccio. 2012 – Reply of the personal exibition ” Castelli di sabbia” in Monteriggioni(Siena) since 26 May to 2 June. 2013 – With the Support of theTown of Castellina in Chianti, personal exibition “Sognando” in Castellina in Chianti (Siena) since 22 to 29 April. The paints of the artist amalgamated with the poems by Tea Panuccio. 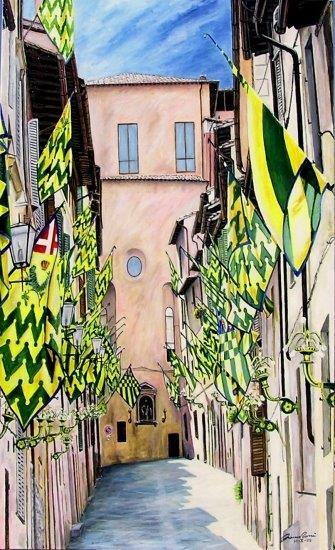 2013 – July/August – Exibition in Florence – Galleria Billeci Immobiliare – piazza Mascagni. 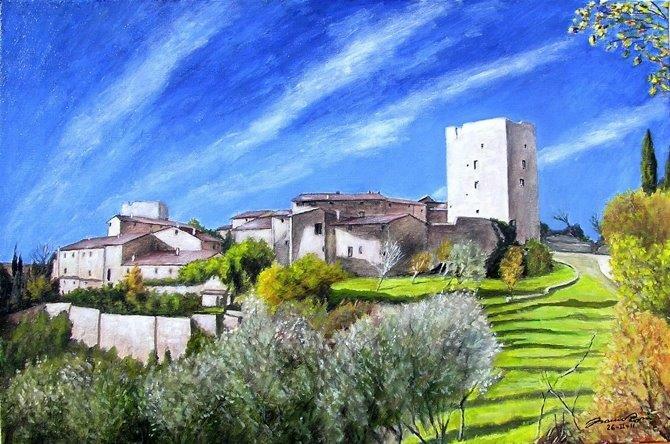 2014 – Exibition in Barberino V/E (FI) since 13th to 21st September. 2018 – Exibition at Casa Schlatter– Florence- since May ,19th to May, 25th. Couples who get married in the Rocca of Castellina are given by the Town Council lithographies on canvas taken from this painting, as a wedding present. Several times mentioned in Italian newspapers and magazines.